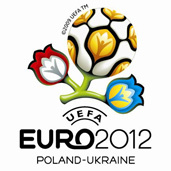 In Gdansk the company to complete the first stage of groundwork at the construction of the Euro 2012 stadium was chosen. The works are to set off in December 2008 and last for six months. The Tender Commission of the company BIEG 2012, after a detailed analysis of the provided documents, chose the contractor to execute the groundwork and land reclamation works. Among the seven offers, the most advantageous one turned out to be that of the Wakoz company, informed the spokesman of the supervising company at the Gdansk stadium construction, Michał Kruszyński. He addend, that the company had declared it would finalize the contract within six months for the charge of 102 million Zlotys net. The same company is responsible for the preparatory ground works at the stadium construction site in Wroclaw. The Baltic Arena (Polish: Arena Bałtycka) is a multi-use stadium in Gdańsk’s Letnica neighborhood, Poland, which is going to be constructed for the 2012 UEFA European Football Championship. The stadiums’ exterior is designed to resemble amber; which has long been extracted on the Baltic coast. Construction started in 2008. Once completed in 2010, it will be used mostly for football matches. The stadium will have a capacity of 44,000 people. „The contract with the selected company will be signed after seven days from announcing the tender results. The works will set off at the end of December.”, Michał Kruszyński explained. The construction design for the stadium is 92 tomes of documentation and the contractor is the company Rhode-Kellermann-Wawrowsky. At the moment, at the construction site, a specialized company is looking for possible unexploded shells, since we hale decided to double-check the area before the construction starts. It is a well-known fact that the city was the theater of many battles and skirmishes in World War II, so it cannot be determined that there are no bad surprises waiting underground.”, said Kruszyński. He added that the bomb disposal team working at the site of the future stadium had 30 days to finalize its work. „If the specialists find something, they inform the police, who in their turn notify the Army. The specialists secure and dispose of the explosive. The company performing the search consists of highly-specialized professionals”, Kruszyński furthermore added. The pitch, where three group matches and the quarterfinal of the football European championship in 2012 are to take place, is planned at the end of 2010, so that in the spring next year games could be played there. The stadium’s conception does not involve just holding football games, but also different kinds of conferences and symposia which would take place in its VIP rooms.